I inherited my love of reading from my father. He always had a book in his hand when he was at home. I can only imagine how much he would have loved eReaders! He and his friends would gather once a month, not for a poker night, but to relax a bit after the town planning board meetings (they all served on the committee). They didn't hit the local bar, forever enshrined in Tootsie (where Charles Durning hits on Dustin Hoffman), but instead, over coffee at one of their homes, they'd talk books. Every month he'd take a grocery bag full of books to his meeting, and return home with another one. Yes, my dad was in an informal book club. The books these guys all liked were mysteries and thrillers, lots of Alistair MacLean, John D. MacDonald, Ian Fleming, Robert B. Parker, Harold Robbins, Ian Ludlum, John LeCarre titles would be traded back and forth. I'm sure some of those old paperbacks are stashed somewhere in this house, because he too would hold on to and reread his favorites. I'd snitch a title from time to time, but none of them really caught my interest till I found a Helen MacInnes book. I'm not sure which of her twenty plus international suspense titles was the one I first read, but have a feeling it might have been Double Image. I think I was in middle school and at the time our world was changing. Walls were coming down. Democracy was flourishing. Her stories of spies and Nazis and Communists just fascinated me. These books were also romances in the best way. Her protagonists would often find love, not always with a happy ending, but most of the time. There were casualties, certainly, and not all her books had a happily-ever-after ending. But the stories they told, the characters she created, the settings she depicted, based upon her own travel, were absolutely magic to me. I didn't realize when I first read them that her husband had served in British Intelligence during WWII and that her first book, Above Suspicion, was loosely about their honeymoon trip to Germany. I have my high school librarian for thank for that knowledge, because when I went to check for her books in the stacks I couldn't find them. Asking where they were, the librarian told me she had filed them under "Highet," not MacInnes. (Guess the librarian was not a feminist or was trying to hide the titles. Never could figure that out.) Highet, of course, was her husband Gilbert's family name. So being the curious sort I had to look him up and discovered all manners of things about this author I never knew. If you were to ask me who I'd like to have dinner with, I'd say Gilbert Highet and Helen MacInnes, without a doubt. The story of the two of them fascinated me and I always dreamed of finding my own soul mate as she did while at university. That he gave her the pad and pens to writer her first story. Priceless! If you'd like to know a bit more, here's a link to an 1974 article from People Magazine (http://bit.ly/macinnes-peoplemag) and the 1 October 1985 New York Times obituary for Helen MacInnes (http://bit.ly/macinnes-nyt-obit). I never lost my enjoyment for reading MacInnes' stories and over the years haunted used bookstores and book sales to complete my collection of her titles. I'd have multiple copies sometimes as I could never resist grabbing both the hardcover omnibus as well as the individual paperbacks. These books would move with me from dorm, to apartment, to house, to home. I haven't pulled them out in a while and was thinking it might be time to revisit some of them. But before I took one of these off the shelf, I thought I'd check and see if they'd made the digital transition. As each of her stories is around 300 plus pages, these would be so much easier to read on my Kindle rather than by propping the dog-eared paperback open. I knew that some of her titles could be found at OpenLibrary.org, but the ones that I had borrowed from there in the past weren't easy to read as the typos from the OCR text conversion had never been edited. Can you see me doing a happy dance right now? Why? Because Titan Publishing has reissued all her titles in both digital and paperback. That's right, all the titles by the queen of international suspense have been digitized! 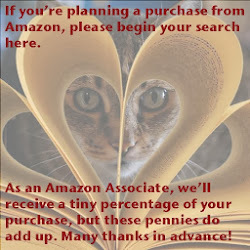 Looking beyond Amazon, I also checked OverDrive and they too have her titles (if they're not in your library, remember you can request them). This Throwback Thursday recollection is not just looking back fondly at a favorite author, but looking forward to hope that future generations will find the same interest in Helen MacInnes stories as so many millions have in the past. These books really encapsulate the WWII and Cold War eras. 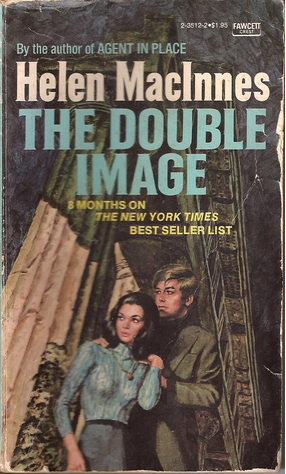 Forget Mad Men, I journeyed through the sixties and early seventies with Helen MacInnes. So if you're looking for some fascinating reads filled with international intrigue, put Helen MacInnes titles on your reading list.